Home » Blog » Content Marketing » Why Your Small Business Brand Is So Special? Small business branding is something of a contradiction – many small businesses go little beyond developing a logo and a strapline. On the other extreme, you have Fortune 100 companies with expensive branding agencies. As a result of their marketing spend, they engineer their brands at every level of the business and across multiple channels and customer segments. If asked which was better at branding our natural reaction would be to say that big brands are leading the way; but are they? First of all, let’s race through a bit of history on branding. 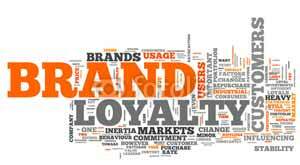 The word branding came from the Old Norse “Brandr” which means to burn. Historically branding was a method of marking who was the owner using a hot iron rod, e.g. on cattle. High-value items were branded to make it easier to identify and in the case of theft trace. Primarily, a brand was a visual marker that was unique to each ranch. In the golden days of the Mad Men, there were limited channels. Subsequently, brand messages were carefully constructed to influence mass audiences. In other words, few channels but massive audiences. As an example, some of the main channels -were print publications, TV, radio and billboards. Consumers were eager to adopt new and convenient ways of doing things, new products. We then moved few to multiple channels, smaller and more fragmented audiences and numerous devices. Also, we now have ad blocking! What is exciting today is the level of distrust that people have not only with advertising but organisations. Many people are familiar with the Nielsen figures that demonstrate how people trust other people more than brands. Another report by Edelman, The Trust Barometer, shows us how people also do not trust governments, institutions and organisations. NHS cover-ups – Staffordshire and Cumbria. Money for favours and Changing The Vote. The point is that these are all brands in their own right, and these are brands that have been severely damaged. It is becoming harder for brands to engineer a perception that is separate from their reality. People using social networks rapidly share news at a velocity and scale previously unknown – bad news travels fast. Unquestionably, there is no doubt that technology, e.g. mobile phone cameras and social networks, are a catalyst for uncovering the underbelly of big brands. 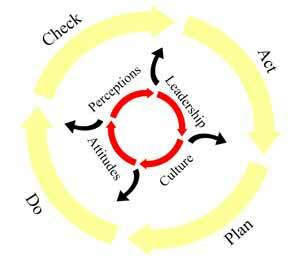 The problem for large organisations is that their people are just that, people. They may be employees, but they are also members of the public. They share their views, opinions and interests openly across multiple channels using a host of different media and this presents a huge challenge to controlling your brand. Even with social media policies in place, there is plenty of things that will entice others to share and talk about on social media. Moreover policing this is often difficult – companies do not want to be seen to be listening in on employee accounts even though they usually are. In fact, along with requests to hand over logins to their Facebook accounts employees increasingly will be monitored online by their employers. While this may seem a sensible thing to do it also jeopardises trust on both sides. The bottom line is that what people think is your brand is the reality for your brand. Different agencies are delivering entirely different brand messages into the market. Brands on social media are failing to respond to customers re Survey by Brandwatch and are generally being ignored. A great blog by Elaine Pofeldt on Forbes titled “What Great Companies Do To Keep Workers Excited” highlights how small businesses often have highly engaged employees (compared to corporate for instance). Small business brands formed by teams of people work closely together, communicating, collaborating to make and reinforcing each other, as well as the brand. A small business brand is as much about the people in the business. People have to do more than defined in their corporate role. The fact is a small business lives or dies by the few clients they have, and the quality of service they deliver. What’s more, they have to be good at what they do. Small businesses brands can harness social networks to deliver their brand in a more personal way better than any large corporate. So few CEO’s tweet or get involved with social media anyway – perhaps in fear or thinking that they are not part of the brand! 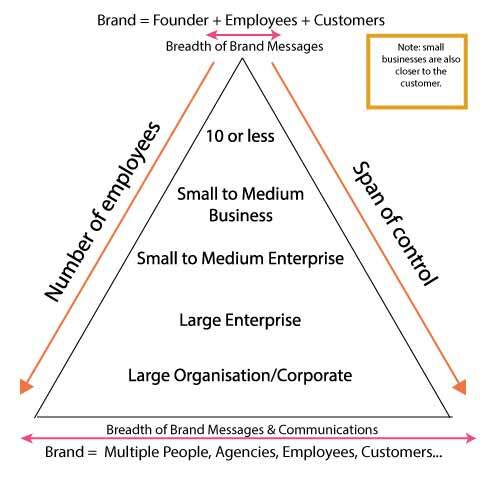 Some Key Points About Developing A Small Business Brand. 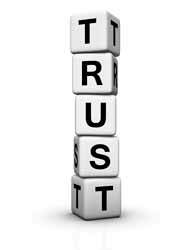 Small business can foster trust and openness in a way that larger organisations can find it hard to do. By focusing on developing an open brand that participates with customers, instead of ignoring them, small business brands can flourish. #1. Focus Your Purpose On The Customer Not Your Business. Great businesses identify their brand with how it helps the customer. This is not just regarding a strap line but placing a meaning upon your brand and how it relates to your customers lives – identify a clear purpose. #2. Have A Clear USP. Identify what makes you special – your unique selling point and use it in your marketing communications. What do you do that others don’t and why should customers buy from you. Keep It Short and Simple (KISS) – make sure from your logo through to your how your people engage with customers that they get what your brand is about. Don’t let it stay in your head, make it explicit and easy to understand so your people can believe in it. Be helpful and promote open knowledge. Think how your expertise and knowledge can help your customers and how that fits with your services – produce content that adds value and share it. #5. Go The Extra Mile. Often low-cost extra pieces of effort or service can make the difference between an OK service and an amazing experience. Examine the customer journey: the moment they first come into contact with you to how you communicate with them afterwards – what can you do to make it amazing for your customers. #6. Be The Brand You Want Your Business To Be. Founder/Owners set the culture and unlike large organisations have a direct impact on how people work, are motivated and the overall culture. As a small business brand, you can be more personable than large businesses, making this a key part of your brand and service. Whether it is your social media updates, your level of service or your communication and commitment to your people – be consistent. This builds trust and confidence in you and your business. #8. Put The Personality Into It. 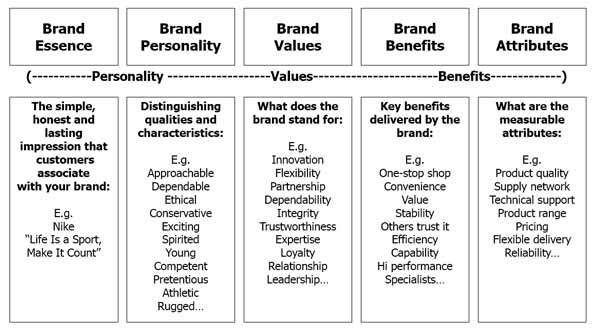 I have included a brand personality model – but it needn’t be as formal as this. Simply use social media to make sure that you and you people come across and show the personality behind the business – this can trump larger organisations. If you have a business and use social media – harness the thoughts and ideas of your people. Turn it into a team effort and you will not only get better ideas but more interesting posts and content. It will also take the strain off just you doing it. #10. Forget Transactions – Build A Community. It is easy just to think of customers and transactions. Move beyond this and think of how you can foster a community of customers and you have a winning formula for increasing customer loyalty and building brand advocates. Be active on social media and respond to your customers and other people that talk about your brand. Brands now are networked and the fabric of what they are is equally in the hands of the customer as it is the business itself. Organisations are becoming more transparent through the openness of communications and ease with which people have can share their brand experiences. Large businesses are dealing with multiple shareholders who reinforce the perception of their brand across multiple channels – customers, employees, management and a variety of agencies. Consistency is often failing these brands. The small business can leverage the advantages of being more in control of its brand and closer to its customers. With the trend towards Social Local and Mobile (SoLoMo) this becomes a big advantage. A small business brand can be better because of the simplicity of their services. 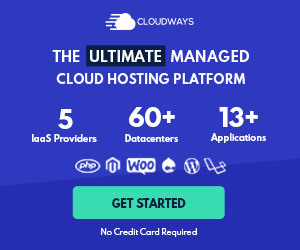 The fact that they are connected to their customers, know their audience really well is a big advantage. Your small business brand is more amazing than you think. With a bit of focus, you can use tools that give you access to easily promote and build your small business brand – what do you think?